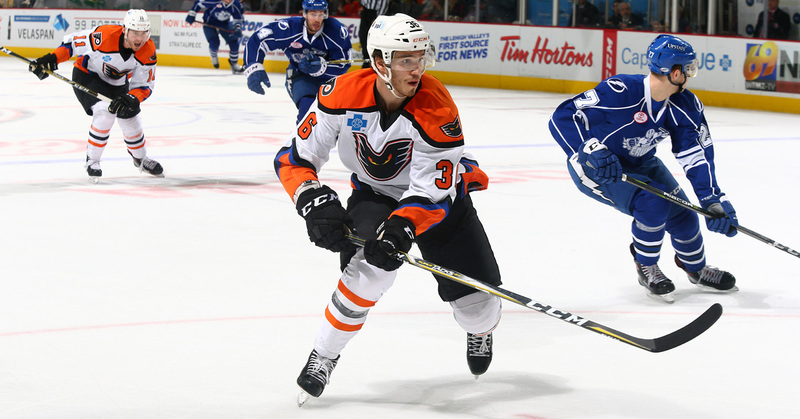 Lehigh Valley, Pa. — The Lehigh Valley Phantoms, proud AHL affiliate of the Philadelphia Flyers, have announced today that they have loaned forward Alex Krushelnyski to the Reading Royals of the ECHL. A 27-year old out of Los Angeles, California, Krushelnyski appeared in 37 games with the Phantoms this past season and tallied three goals and six assists for a total of nine points with a plus-five rating. Additionally, he played in 24 contests with the Reading Royals during the 2017-18 campaign in which he potted 13 goals and recorded 14 assists en route to being named an ECHL All-Star. Krushelnyski was recalled from loan on November 26, prior to the Phantoms three-game road trip to Canada, but has yet to appear in a game for the team this season. Currently, he has five goals and 10 assists for a total of 15 points in 17 games this season with the Royals. Lehigh Valley will kick off a four-game home stand on Wednesday night, December 5, when they host the Cleveland Monsters for the first time this season inside of PPL Center at 7:05 p.m. Tickets for the contest against the new North Division opponent are available online by clicking HERE.